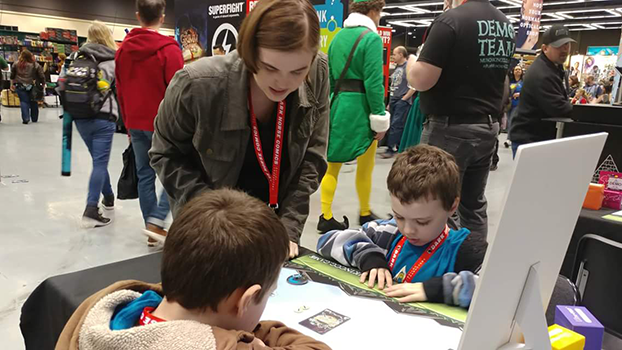 Daily Illuminator: The Munchkin CCG Was A Hit At ECCC! 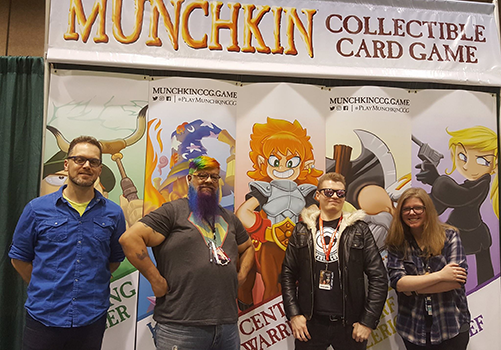 March 5, 2018: The Munchkin CCG Was A Hit At ECCC! Emerald City Comic Con has come to a close, and as we return to Austin, it's time to reflect on what an awesome convention it was! We couldn't have planned a better event to celebrate the release of the Munchkin Collectible Card Game. 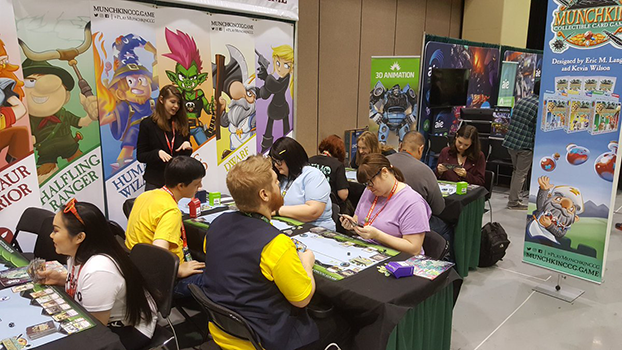 Not only did we get to show tons of fans how to play, they showed their support by helping us sell out of all Munchkin CCG starter sets and booster packs by mid-Saturday. We tried to overestimate how much to bring, but we still couldn't make it the whole weekend. It's a good problem to have though; it means people enjoy it! Fortunately we still had cards on hand for our signing, featuring four incredibly talented artists: Lar deSouza, Katie Cook, Shane White, and Mike Luckas. 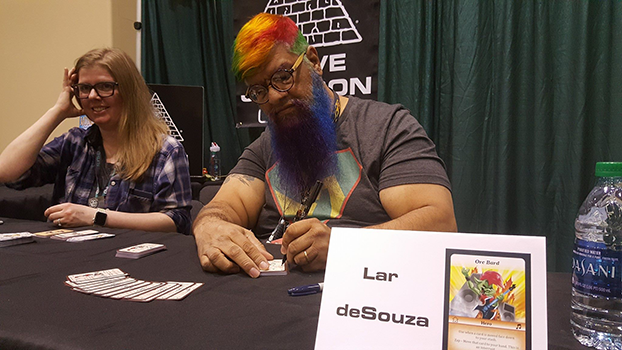 People lined up around the booth to get their loot signed, including their new Munchkin CCG cards, as well as some of our artists' awesome Munchkin promos! I may have snuck some of the signed swag back to the office, so keep an eye on our social media channels for some potential contests. Thanks so much to the fans who dropped by the booth and played a game with us, and to the staff at ECCC who were extremely helpful. And thanks to all of you who spent this weekend attending Munchkin CCG release events around the country! It was incredible seeing so many pictures from local game stores while we were teaching the game. It's going to be a fun 2018 convention season! Next up: GAMA Trade Show. See you there!